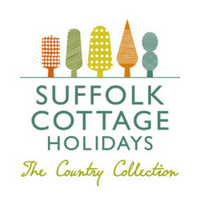 Suffolk Cottage Holidays is a locally based, family owned, holiday letting agency in Suffolk, with a large collection of delightful countryside and coastal self-catering properties. We have a small team of local people, who enjoy exploring the area and have a true passion for this beautiful county. With over 20 years’ experience our friendly team are always here to help you and with our knowledge of Suffolk we can offer any advice you might need and find you the perfect holiday cottage. Suffolk is ever growing in popularity and is a great destination for your holiday. With our beautiful coastline and heathlands, all of the rich history and our quaint, cultural market towns you’ll be spoilt for things to do. Suffolk Cottage Holidays have a portfolio stretching from Felixstowe in the South, all the way up to the Suffolk/ Norfolk border. We offer a variety of properties from romantic cottages just for two, to large manor houses, sleeping up to 20 people. Whether you want a coastal property with a Seaview, a rural retreat to relax in, or a large house to host a gathering, we’ll have something to suit your needs. We have local offices in Woodbridge and Aldeburgh and truly local staff who really do have the answers; they know the area like the back of their hands and have visited the properties personally. Our team are happy to answer any questions that you might have about the area and can even guide you in the right direction to discover many of the best restaurants, beautiful walks and sandy beaches.